Definition – Rare mental illness in which a person feels they are dead, do not exist, parts of them are decaying or rotting, or they have lost internal organs, blood, or extremities. Clinical Significance – The pathophysiology is not well understood and the two thoughts are that it is due to lesions or atrophy in the parietal and/or frontal lobes, or due to neural misfiring in the fusiform gyrus that is responsible for facial recognition. It is most common in patients with underlying schizophrenia and psychosis and patients often withdraw from society and the outside world. Partly because of the delusions and partly due to personal neglect of appearance and hygiene. 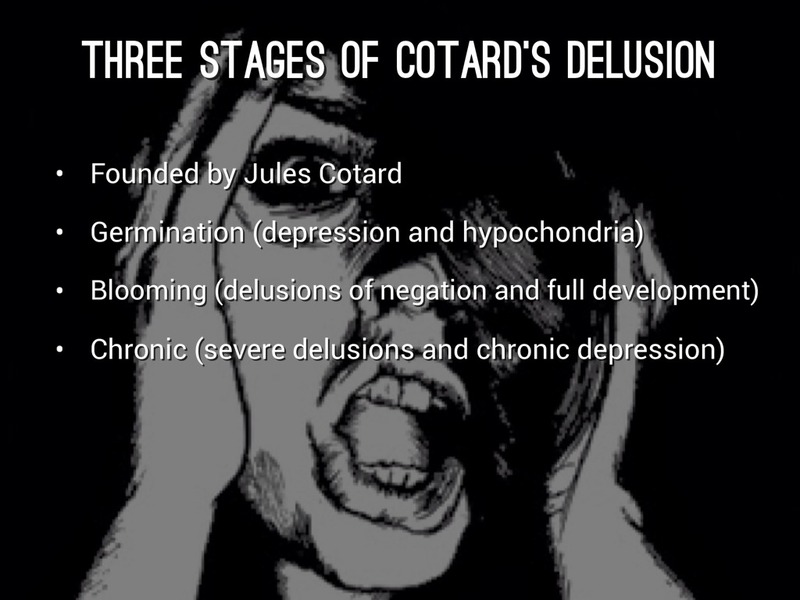 There is no DSM-V diagnosis for Cotard’s syndrome, so it falls under the category of somatic delusions. History – Named after Jules Cotard (1840-1889), a Parisian neurologist, psychiatrist, and surgeon who received his medical doctorate in 1868 from the University of Paris and worked at the Hospice de la Salpétriére under Jean Martin Charcot. 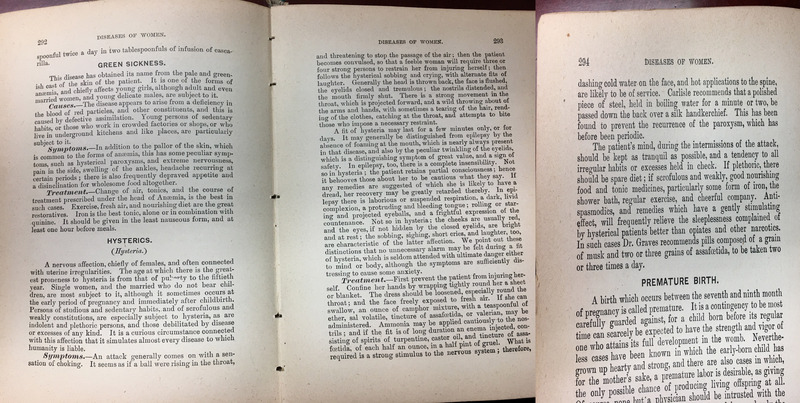 In June 1880, he read a report on “Du délire hypochondriaque dans une forme grave de la mélancolie anxieuse” where he described a case of a 43yo woman who believed she had no brain, nerves, or entrails and that she did not need food, for she was eternal and would live forever. Emil Régis was the first to coin the eponym in 1893. In 1889, his daughter contracted diptheria and for 15 days he refused to leave her bedside until she recovered. Unfortunately, he contracted the same illness and succumbed to disease later that year. Cotard J. Du délire hypocondriaque dans une forme grave de la mélancolie anxieuse. Ann Med Psychol (Paris). 1880;4:168-174. Régis E. Note historique et clinique sur le délire des négations. Gaz Med Paris. 1893;2:61-64. 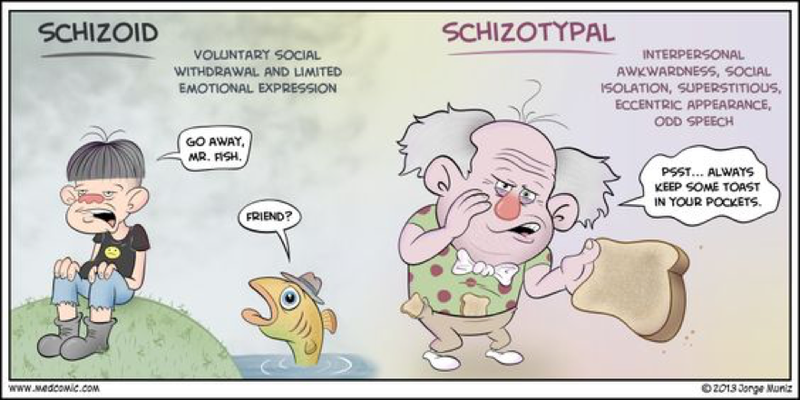 Schizophrenia is ranked by the World Health Organization as one of the top mental illnesses in regards to global burden of illness and years lived with disability (YLDs) and disability-adjusted life-years (DALYs). The estimated prevalence of schizophrenia in the world approaches 1% (that’s 74 million people) and the incidence is around 1.5 per 10,000 population. It is slightly more common in men than women (1.4:1) and they have an overall worse prognosis, but women tend to be diagnosed later in life. The approach to behavioral medicine conditions is similar to sexually transmitted diseases….in that if you suspect ONE you should screen for ALL. These diseases run in packs and schizophrenia is no exception. There is an increased risk of co-diseases such as depressive disorders, anxiety disorders, substance abuse, and neurologic/endocrinologic disease. 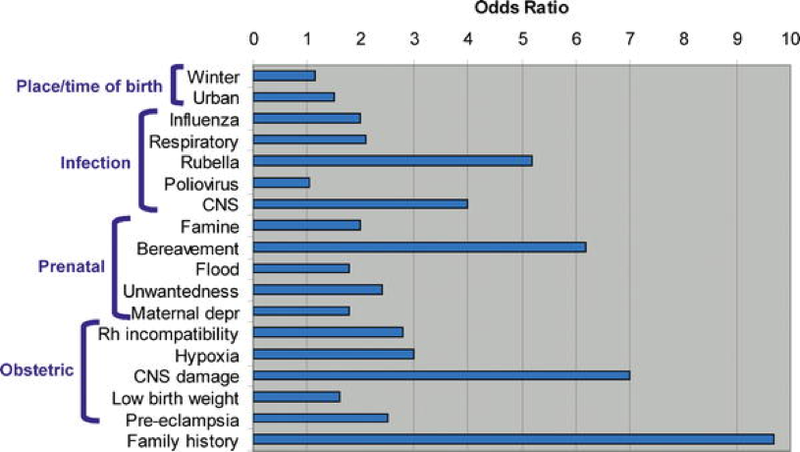 There have been many identified risk factors for the development of schizophrenia include environmental, infection, prenatal, obstetric factors, and family history. Unknown at this point, but seems to be a confluence of genetic and environmental factors. Using genome-wide association studies (GWAS), researchers have have found that it is not one or two big genes that cause schizophrenia, but more of a polygenomic effect of multiple small genes with increasingly additive effects. Currently, they have found 500,000 single nucleotide polymorphisms (SNPs) that have been associated with schizophrenia development with 108 of these showing significant association. 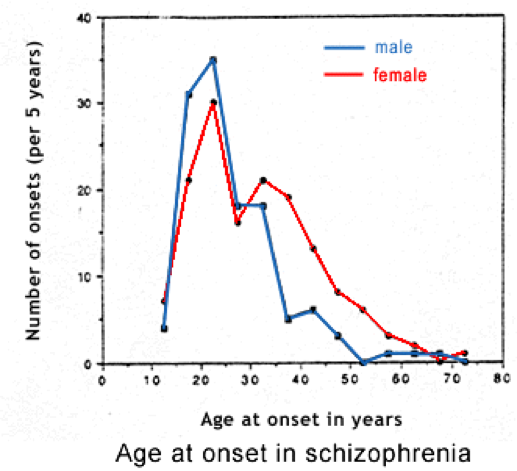 Schizophrenia is a syndrome with impairment in several domains. There are a few physical exam findings that can be seen in patients with schizophrenia that can precipitate further screening. The presentation and disease is highly variable and differ in regards to onset (rapid vs slow), symptom presentation (continuous vs intermittent) and outcome (poor vs controlled). 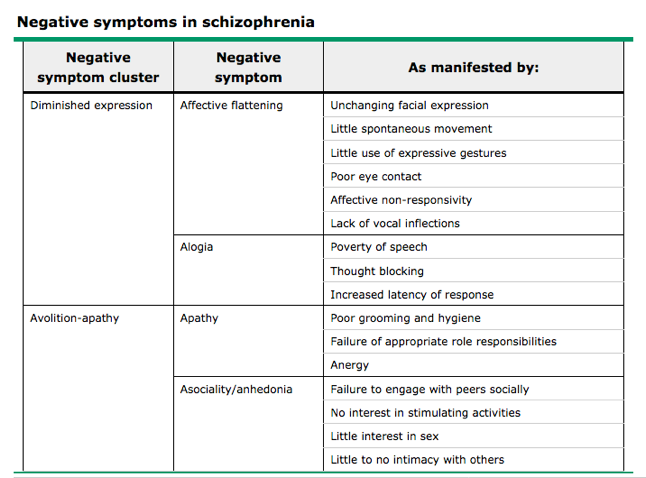 Each patient with the suspicion of schizophrenia should be screened for these variables. For a significant portion of the time since the onset of the disturbance, one or more major areas of functioning such as work, interpersonal relations, or self-care are markedly below the level achieved prior to the onset. Failure to achieve expected level of interpersonal, academic, or occupational achievement. Continuous signs of the disturbance persist for at least six months. The six-month period must include at least one month of symptoms (or less if successfully treated and may include periods of prodromal or residual symptoms. (2) if mood episodes have occurred during active-phase symptoms, their total duration has been brief relative to the duration of the active and residual periods. The disturbance is not due to the direct physiological effects of a substance (eg, a drug of abuse or medication) or a general medical condition. 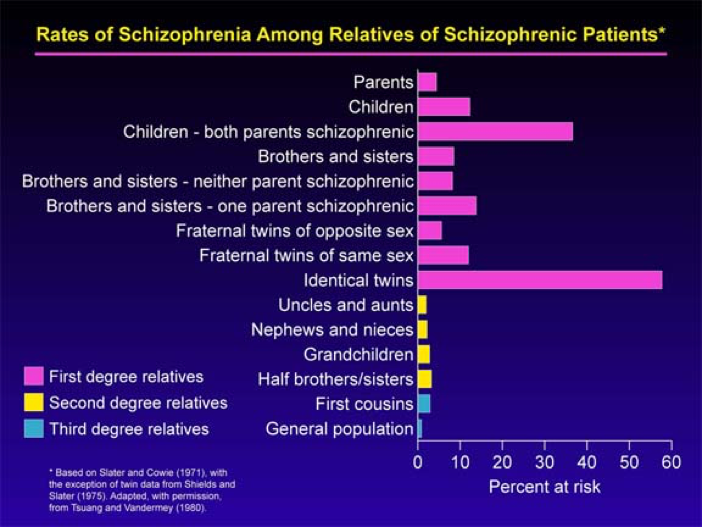 There are several other conditions that can mimic schizophrenia and need to be assessed during screening or diagnosis. Psychotic relapse in a patient with a known diagnosis, or the first episode of psychosis in an undiagnosed patient. There are several medications available as IM, extended release injections that can be helpful in chronic maintenance in non-adherent patients. The symptoms must impair function. The symptoms must be present in the early developmental period. However, they may become apparent only after social demands exceed limited capacity; in later life, symptoms may be masked by learned strategies. The symptoms are not better explained by intellectual disability or global developmental delay. American Psychiatric Association. Autism spectrum disorder. In: Diagnostic and Statistical Manual of Mental Disorders, Fifth Edition, American Psychiatric Association, Arlington, VA 2013. p.50. Gilliam JE. Gilliam Autism Rating Scale (GARS). Pro-Ed, Austin, TX 1995. You are seeing an 8yo with his mother for increasing behavioral problems and decreasing school performance. She is concerned about ADHD because several of his friends have been diagnosed and are now on medications and doing well. On physical exam, he is not making consistent eye contact in the room, shows poor impulse control, and is does not want to speak with you when you ask him questions. You are now entertaining the possibility of an autism spectrum disorder. 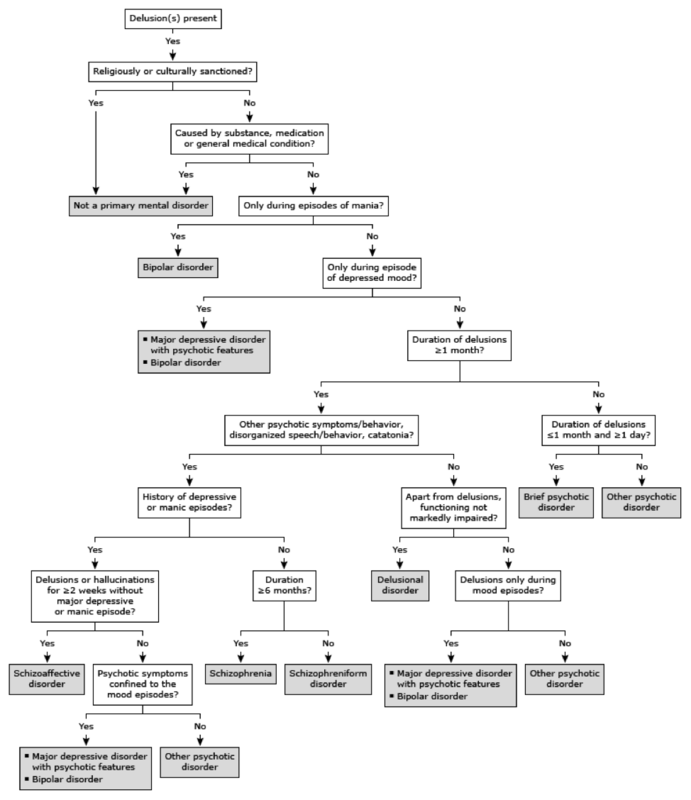 What are the DSM-V diagnostic criteria for an autism spectrum disorder and what are some of the available testing tools?